So I was wearing orange today to show support for my friend Vicky, who’s helping raise awareness for MS. And the color orange always reminds me of my time as a witness in Federal Court. (I was not wearing orange then.) I was a junior brand manager working on the “M&M’s”® Brand’s lesser-loved stepchildren – Baking Bits, Almond and Peanut Butter. 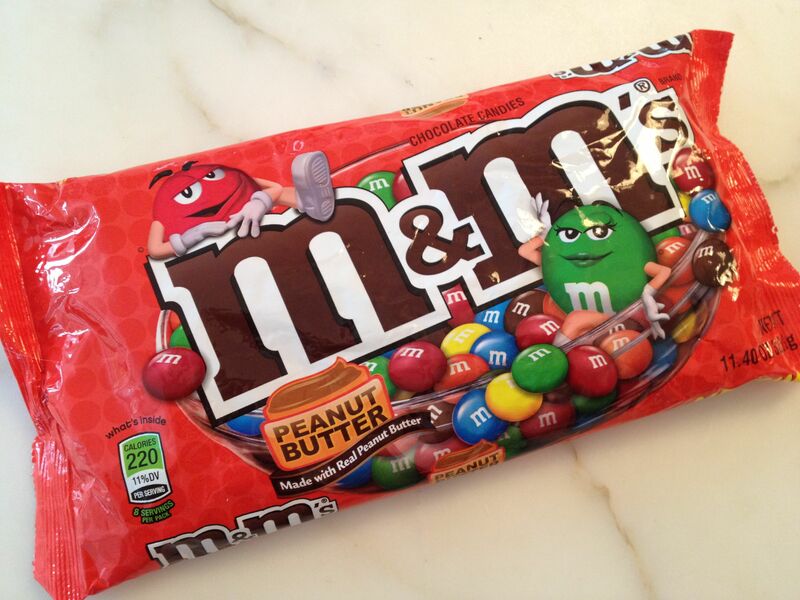 Peanut Butter “M&M’s”® were – and still are – a fantastic product, but it’s hard living in the shadows of successful older siblings. Our ad agency account team used to call me Sue “What about Peanut Butter” because I was constantly advocating for more media support. The next thing I knew I was in Federal Court, taking the stand to defend the brand’s recently redesigned packaging color. 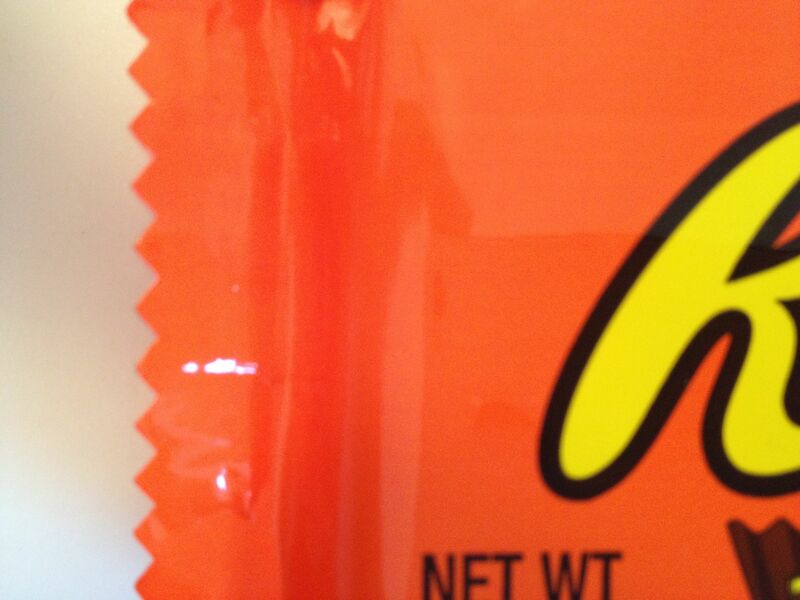 It seems our confectionery archrival (no need to name names) felt they owned the color orange. The case was settled, but the two companies still get ornery over orange to this day. 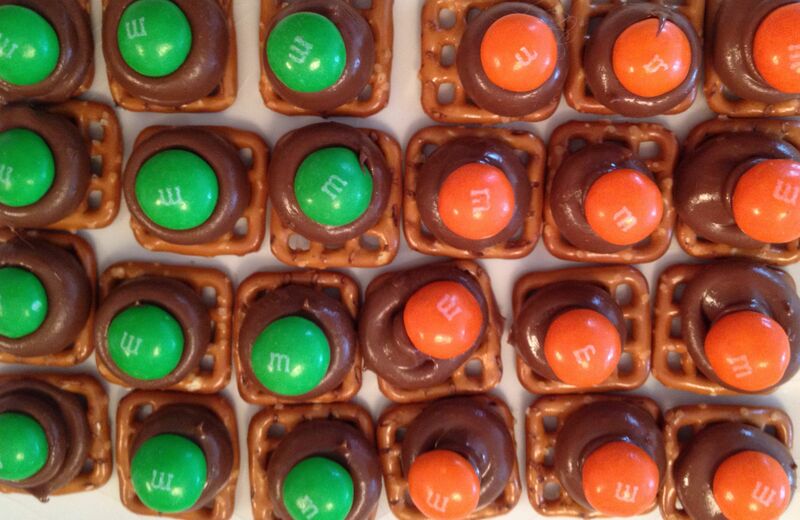 Arrange pretzels on a microwaveable plate. 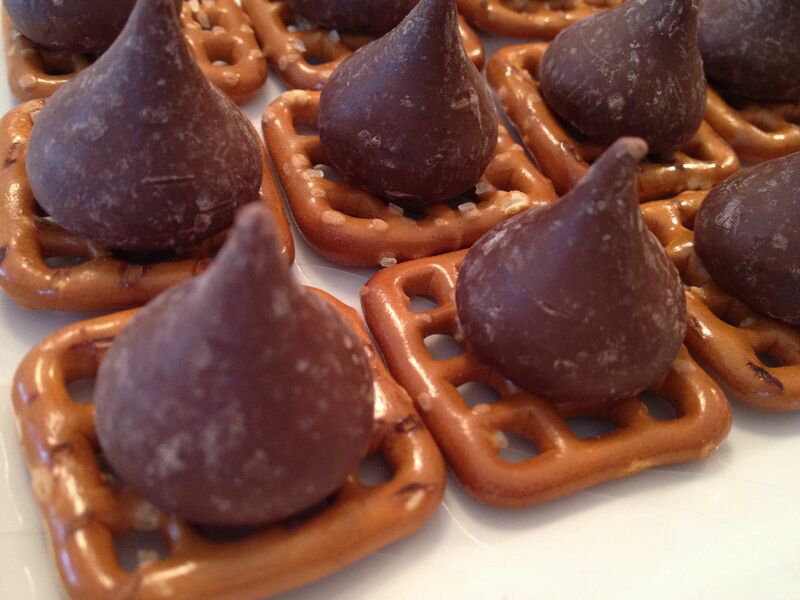 Unwrap Kisses and place on top of pretzels. 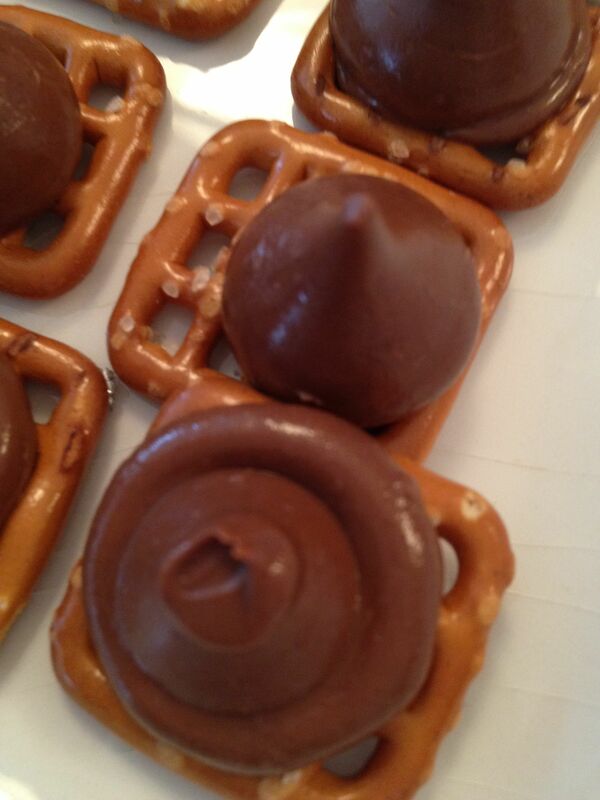 Microwave for about 90 seconds, in 30-second intervals, until Kisses are glossy and the tips collapse when pressed. 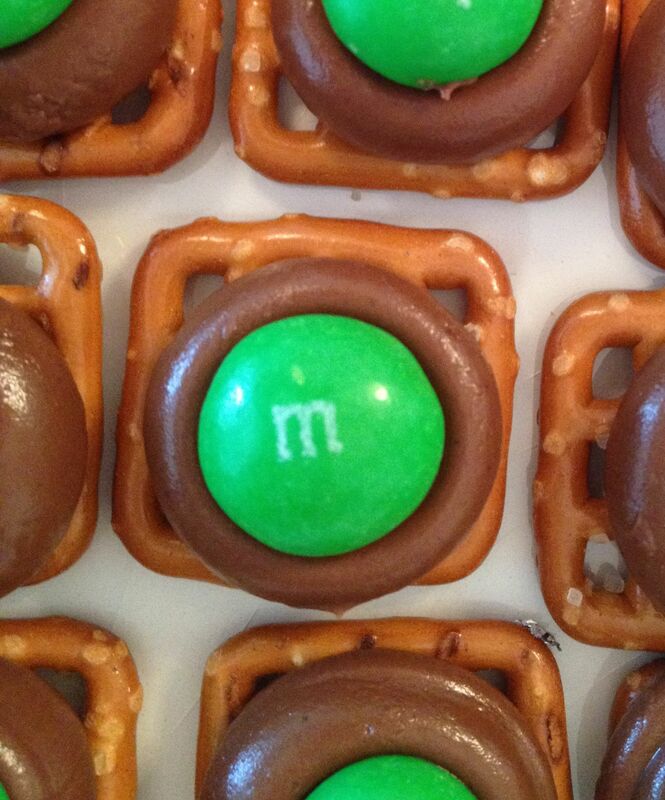 Use the Peanut Butter “M&M’s”® to smash down the melted Kisses. (Wait – let’s try that again: Gently press Peanut Butter “M&M’s”® onto the melted Kisses tips until a peaceful union is achieved.) Refrigerate until firm, or eat warm and melty. 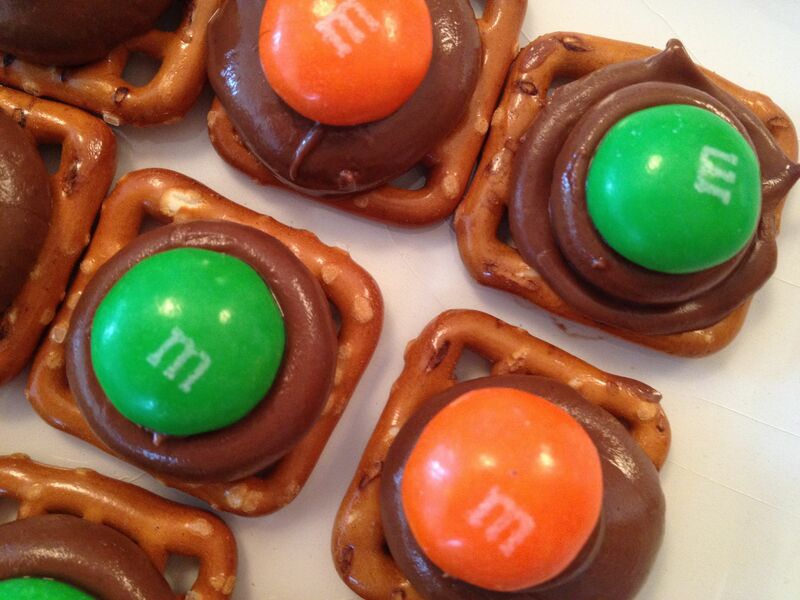 This entry was posted in Desserts, Holidays, Snacks and tagged Hershey's, Kisses, M&M's, Mars, Peanut Butter, Pretzel treats, St. Patrick's Day by subeeskitchen. Bookmark the permalink.